It is rare for a single home to encompass every buyer’s dream features. Some people build their dream home from the ground up, while others choose to remodel and create their perfect home through renovation and continuous improvements. While home renovation is exciting, it is critical to ensure your budget aligns with your expectations. When remodeling a home, homeowners should spend no more on each room than the value of that room as a percentage of your overall house value. 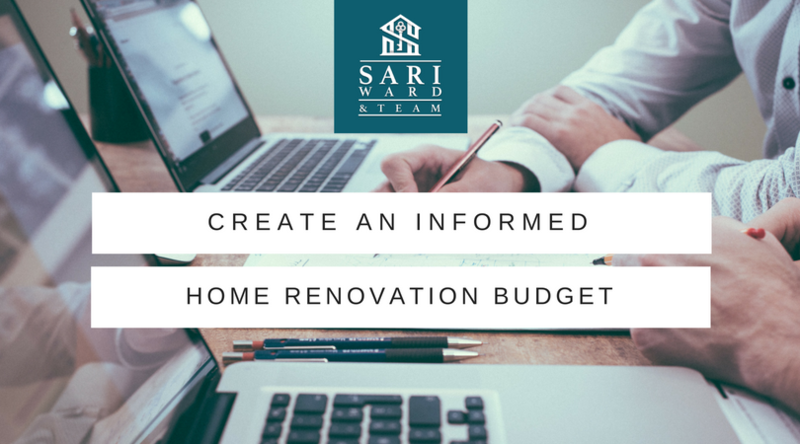 Use the free Sari & Team Home Valuation Calculator as a starting point and utilize the information below to determine the appropriate budget. There are a variety of loan options available for home renovation projects. The list below outlines a few options, but it is imperative to talk to your mortgage lender to determine which option is best for you. If you would like to be connected with one of Sari & Team’s trusted advisors, click here. We highly recommend getting bids from multiple contractors. Be sure to ask for references and utilize their feedback to guide your decision. If you would like to be connected with one of Sari & Team’s trustworthy contractors, give us a call at (949) 558-3100. Despite working with a trusted contractor, unforeseen issues can often result in additional costs. We recommend erring on the safe side and factoring 10 to 20 percent of your contracted budget to cover in any unexpected costs.